In a skillet over medium heat, cook the nuts and honey, stirring frequently, until the mixture turns golden brown. Immediately spread on a sheet of parchment paper and cool completely. Break into pieces with your hands and set aside. In a bowl, combine all the ingredients with a whisk. Season with salt and pepper. Divide the endive and apple slices among four plates. Drizzle with the dressing. 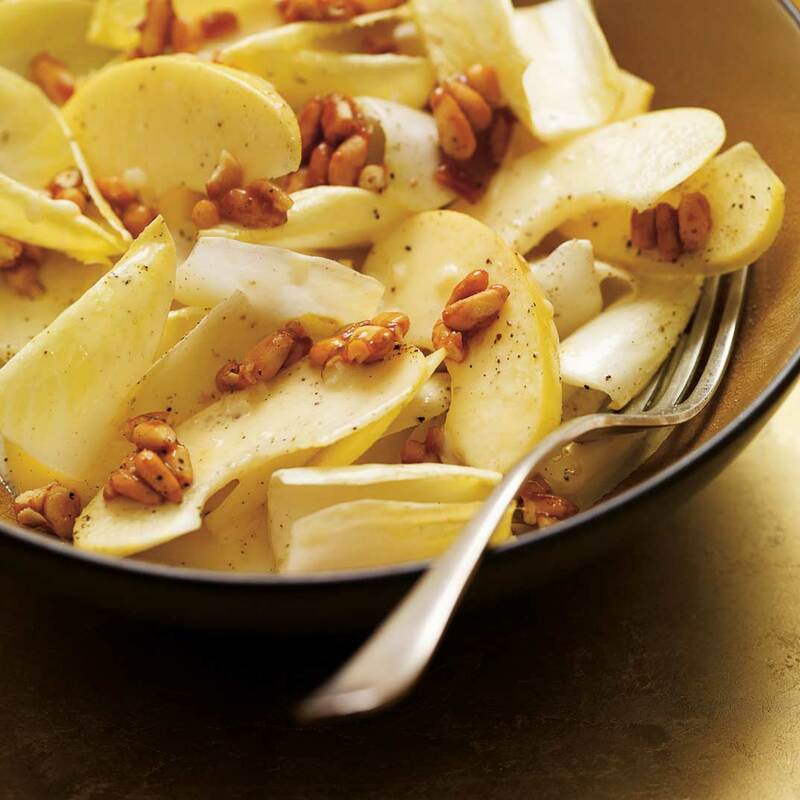 Sprinkle with the caramelized pine nuts and season with pepper. Serve immediately. 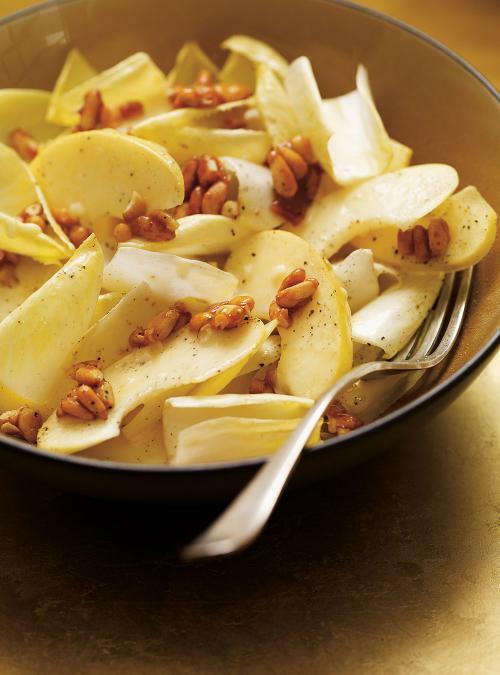 A great way to serve endive.